The skin is the largest organ in the body, covering nearly two square metres and accounts for about 16% of the total body weight. One square inch of skin contains approximately 250 sweat glands, 25 hairs, 40 sebaceous glands, 7.5 feet of blood vessels, 30 feet of nerves with 7,500 sensory cells at their ends. It is amazing to think that we shed one surface layer of dead cells every 24 hours! primarily the face, back and shoulders. adequate rest, exercise, fresh air and sunlight are essential to prevent this skin complaint. The diet should be low in saturated fats and refined carbohyc rates (white bread, sugar etc. ), and high in fibre, especiafly soluble fibre such as that found in fruits and vegetables. High Strength Multivitamins & Minerals: There are three nutrients that seem specially important for problem skin. For example, it has been shown that vitamin A builds resistance to skin infections and blemishes and that when zinc is lacking, the body can not properly utilize it’s vitamin A. B vitamins are also important for skin health, espacially riboflavin (B2) and pantothenic acid (B5) as they are reported to reduce facial oiliness.Chromium is also important since it is thought that the skins glucose tolerance is significantly impared in those with this problem. 200μg is the sugested dose. Additionally, the anti-oxidants beta carotene, vitamins C and E plus the mineral selenium are needed for skin protection. Vitamin E also appears to lessen the likelyhood of scars. The fastest way to get appropiate levels of these nutrients into a patient is with a high stregnth Multi, such as Multi-Guard and then just adding a few extras such as additional zinc, as required. Zinc: Even a multi such as Multi-Guard that contains a full 15mg os zinc can be insufficient for problem skin and additional zinc is needed. Frequently, a further 15mg of zinc may be required as part of a short high dose course. Look for zinc in the citrate form since this is a form that is easily absorbed. Vitex: Vitex agnus-cactus (often referred to as Vitex) is a shrub that originates from the Meditarranean. Of its many uses, it has traditionally been used for menstrual related problem skin. Intensely itchy skin that is dry, flaces, and sometimes forms blisters is typical of the skin condition eczema. There are several different forms of this common skin condition, some of which have no obvious cause whilst others can be linked to specific external factors. While it is true that some forms of this complaint are particularly widespread in children, in reality it can develop at any age and for some people it is a lifelong condition. No one treatment is likely to be effective on its own but sufferers can be reassured that most forms respond extremely well to a combination of medical products and self-help measures. For example, sufferers are advised to avoid common sources of irritation such as wool and synthetic fibres, washing powders, nickel, rubber and the house dust mite. Food alergy is arother important factor; common culprits are refined or fermented foods, red meat and dairy products, alcohol and caffeine. Stress can also aggravate eczema and hence stress management can help sufferers to prevent a vicious circle of negative feelings and recurring symptoms. Evening Primrose Oil: The oil derrived from the evening primrose seeds is rich in gamm-linolenic acid (GLA). Studies have shwon that GLA can inhibit inflammatory metabolites and posses hydrating properties, which are effective at helping reduce the itching and dryness associated with this skin condition. Suggest 1000mg of evening primrose oil, twice daily, that has a guaranteed GLA level of at least 80mg per capsule. Fish Oil: The beneficial ingredients of fish oil are two fatty acids, EPA and DHA. These are omega 3 fatty acids, which are reported to help reduce the itching by inhibiting arachidonic acid metabolisim. Ideally everyone should eat on average 2 to 3 grams of omegas 3’s a day but it seems that few people achieve this level, especially if they eat little oily fish so supplementation is relevant for many. The recommended dose is 1100 of Pure Fish Oil, twice daily. Use a Fish Oil that gives a guaranteed level of over 600mg of omega 3’s and which quotes levels of EPA and DHA at about 310mg and 210mg respectively. High Strength Multivitarnins & Minerals: Several nutrients are necessary for the converssion of fatty acids found in evening primrose and fish oil including the B vitamins and Zinc. This is why most practitioners also recomend taking a high strength multi such as Multi-Guard alongside the fatty acid supplements. Bruising occurs when capillaries ruottire and blood leaks out causing skin discolouration. They are usually caused as a result of falls or bumping into objects. Being overweight, anaemic or pro-menstrual can make a person more susceptible to bruising. Sufferers are advised to consume a well-balanced diet with plenty of fresh fruit, vegetables and fibre, and to reduce consumption of fatty foods. Anyone who suffers frequent bruising without an apparent cause should consult a doctor. Anthocyanidins: Natural plant anthocyanidins or PCOs are a group of components found in dark skinned fruits. Scientists sudying these particular plant derrivatives have focused much of their work around the role they play in helping to support collagen. Collagen is the most abundant protein in the body – it is the protein that forms connective fibres in tissues such as skin, ligaments, cartilage and muscles. It is also required for the repair of blood vessels and bruises. The research shows that anthocyanidins can help to reinforce and preservecollagen in the body. With the anthocyandins ability to enhance the health of blood vessels, practitioners use them for any kind of vascular insufficiency including including bruises. One of the richest sources of anthocyanidins on the market is Double Strength Colladeen, which provides a full 160mg of anthocyanidins from extracts of grapeseed and bilberries per tablet. Horse chestnut: Traditionally used for various circulatory disorders, today, supported by moderns research, horse chestnut (Aesculus hippocastanum), is used by practitioners for vascular insufficiencies including bruising. A specific active principle that has been identified in extracts of horse chestnut is called ‘aescin’ so use a product that is standarized to give a guaranteed level of this compound. 50mg aescin, twice daily is the level used in many studies. Vitamin C (and Rutin): Vitamin C is an important antioxidant and free radical scavenger needed for tissue repair and it is essential for skin health. 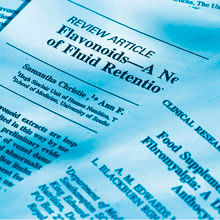 In nature bioflavonoids occur occur alongside vitamin C and appear to assist in the availability and use of this vitamin. They also play an important role in maintaining the health of the blood vessels since they support collagen integrity. Disclaimer: The information presented is for informational purposes only. It is based on scientific studies (human, animal, or in vitro), clinical experience, or traditional usage as cited in each article. The results reported may not necessarily occur in all individuals. Self-treatment is not recommended for life-threatening conditions that require medical treatment under a doctor's care. For many of the conditions discussed, treatment with prescription or over the counter medication is also available. Consult your doctor, practitioner, and/or pharmacist for any health problem and before using any supplements or before making any changes in prescribed medications.